So I’ve finished watching the anime series, Toppa Tengan Gurren Laggan. Late to bthe party I know. Never thought I would like it…. But I did! It was really good. Probably the best mecha series I’ve ever seen. And I’m not a fan of mecha series, mind you. If you don’t know about the series, check it up. I don’t know where to begin if I should try to explain it. The main theme of the series is survival and evolution (i guess?). Besides being an awesome mecha series that is. They have good humor in the show, its well balanced between seriousness and comedy. 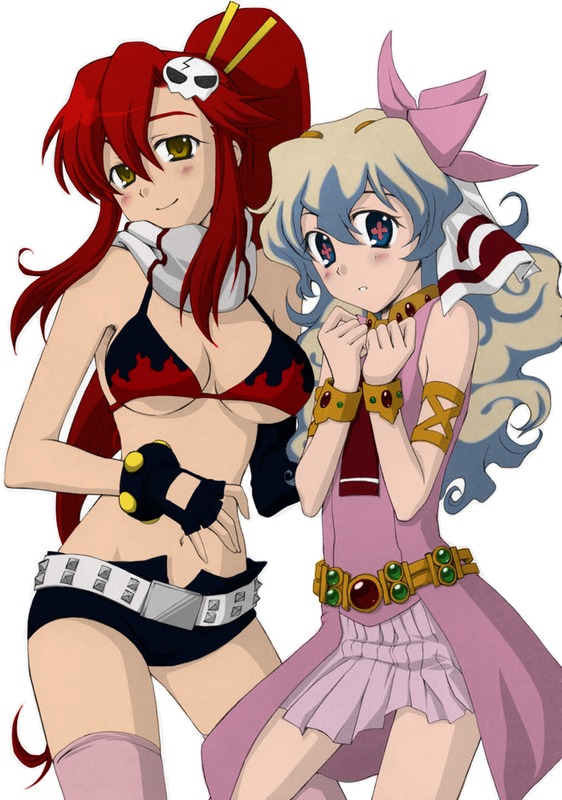 The girl to the left is called Yoko and the girl to the right is Nia. EDIT – 2011-07-19: This image was removed from DeviantArt sometime ago. Sadly, I know people liked this one. And I’m still proud of the coloring I put into this picture. Click the picture to get a bigger version, if you would like an even bigger version right click on the picture and open it in a new tab. My figures. Let me show you them! that is so cool . it is an awsom picture. its like the real thing.